VANCOUVER — Members of the Clark County Board of Councilors passed a resolution at their Tuesday evening meeting that will essentially drive the final nails in the coffin of the county’s fee waiver program. The actual deathblow to the program came in December when County Chair Marc Boldt and fellow councilors Jeanne Stewart and Julie Olson outvoted former councilors David Madore and Tom Mielke on the passage of a repeal of the program Madore and Mielke enacted in 2013. For more information on the councilors’ decision earlier this week, see reporter Alex Peru’s story on ClarkCountyToday.com. Madore and Mielke passed the fee waiver program to boost the economy in this area by making it easier, and far less expensive, for developers to complete projects that would create jobs in the county. Those jobs and the increased retail and commercial activity would also benefit the county by increasing sales tax and property tax revenue. I will be the first to admit that I do not have evidence of full causation that the program was an overwhelming success. But, when Boldt, Stewart and Olson decided to repeal the program, they were also unable to show causation that the program was a failure. The bottom line is Clark County’s economy was absolutely robust in the years following the establishment of the fee waiver program as development in the area helped the county recover from the Great Recession. Regional Economist Scott Bailey was cranking out monthly reports in those years that showed the county was recovering at a rate greater than most, if not all, areas not only in the state of Washington but also in the region and all along the West Coast. I believe the fee waiver program had a hand in our recovery, and area businessmen who agree offer their testimony. 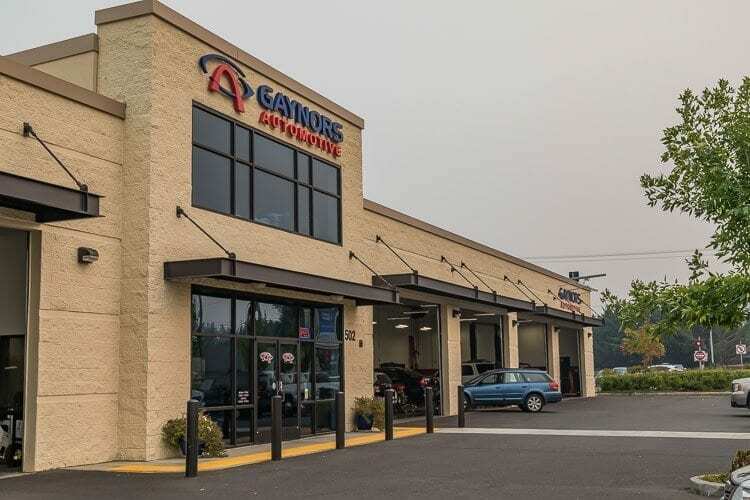 In the Salmon Creek area, Gaynor’s Automotive had a 5-acre parcel near its location at 502 NE 139th Street. For years, General Manager Tommy Gaynor said the company wanted to develop the parcel. “We have this five acres in Salmon Creek that had a shop on it but it was being underutilized,’’ Gaynor said. Finally, Gaynor was approached by Mike Jenkins, a developer of 25 years with MAJ Development Corporation in Vancouver. Aware of the county’s fee holiday program, Jenkins went to work with Gaynor on a plan for developing the 5-acre parcel. 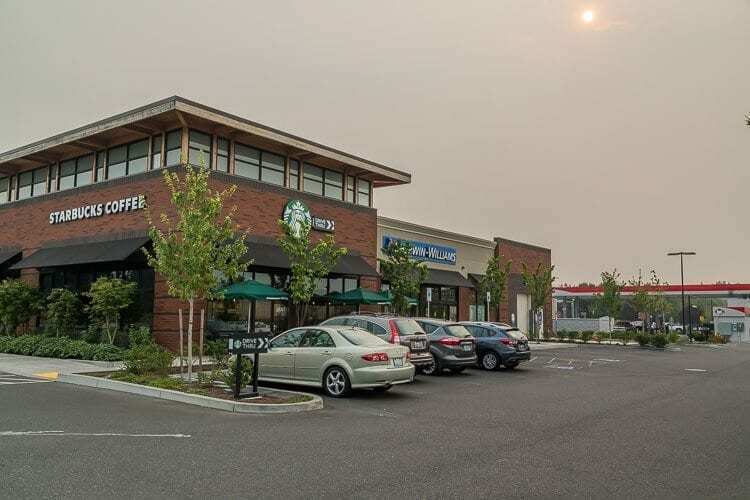 Today, on the parcel, sits an upgraded Gaynor’s Automotive center as well as a Sherwin Williams paint store, a Starbucks coffee shop, a Banner Bank branch and a Fred Meyer gas depot. Gaynor’s Automotive went from four bays to 10 and increased employees at the location from four to nine. Jenkins was also the developer of the old Steakburger property on Highway 99 in Hazel Dell. The old landmark was recently replaced with new Taco Bell and Panera Bread restaurants, a Pacific Dental practice and a Fred Meyer gas location. He said that project received a reduction of about $1.7 million in fees and it wouldn’t have been completed if it wasn’t for the reduction in fees and development costs. Jenkins said impact fees and development costs in the county are “three or four times higher’’ than what they are in the city of Vancouver. “I knew this was coming,’’ Jenkins said of the repeal of the fee waiver program. “I have zero projects in the county right now. I had two projects in the county going that were starting to come to design and I backed out of the deals because of that (repeal of the fee waiver program). No one can build in the county right now. What would be better for Clark County? A mostly empty lot in Salmon Creek with the smaller Gaynor’s Automotive shop or the parcel that exists there now with an upgraded Gaynor’s location plus the Sherwin Williams, Starbucks, Banner Bank and Fred Meyer gas depot businesses thriving? There is no doubt many other stories that developers and businessmen in Clark County can tell will support the same theme. Time will only tell, but I’m not celebrating the death of the fee waiver program and nor should you.